Chris Goodwin Returns in London! Chester Fighter Chris Goodwin is hoping to put a frustrating few years behind him when he returns to the ring at York Hall, Bethnal Green on the 1st of March. 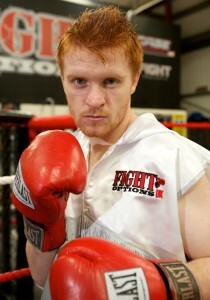 Chris has seen several fights fall through, just as he was looking to push on with his career. He is now hoping to shake off some ring rust in London before coming home to fight for the WBF Intercontinental title in April. Anyone interested in tickets can contact the gym. Full details of the show can be found below.